Sedo is the world’s largest marketplace for domain name trading. With its one-stop shop principle, the company offers all services for domain buyers and domain sellers, such as domain parking, domain reviews, domain transfers and domain marketing. 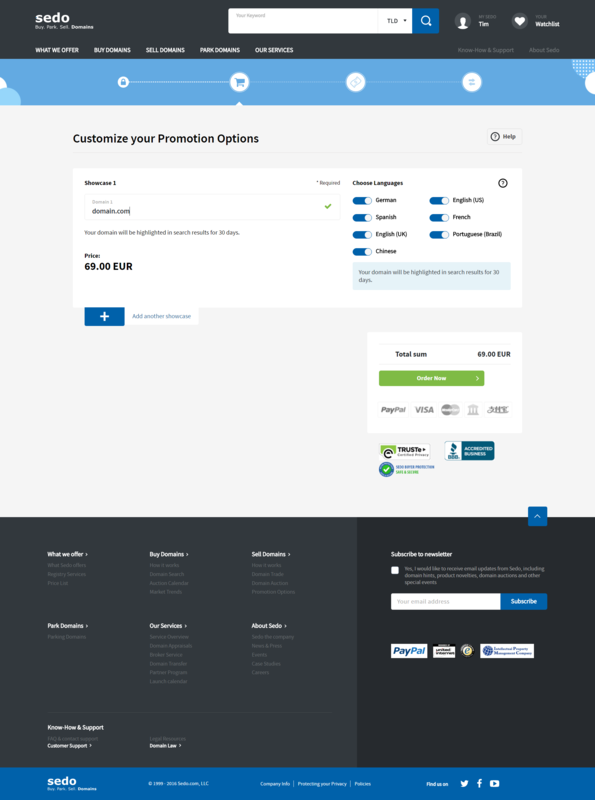 In addition to a clear interface for the end customer, Sedo also provides interfaces for the purchase and sale of domains for partners. Ilscipio developed together with Sedo a new system architecture for eCommerce processes based on Apache OFBiz. The system is seamlessly integrated into the existing system landscape and is used for the automatic processing of e-commerce purchasing processes as well as for the support of back-office processes.